As many of us know, garage door openers and remotes make your home a more convenient, safe place. While openers make it so you can have ease of access with just the push of a button, many are also made with up-to-date security features to help keep your loved ones safe. If you’re a business owner, regardless of the size of your commercial facility, it’s important to have a reliable garage door opener to ensure traffic flows at a steady pace. Our services range from garage door opener repair, replacement, installation, and more. Read about our garage door opener services and contact Royal Door to make your home more accessible today! 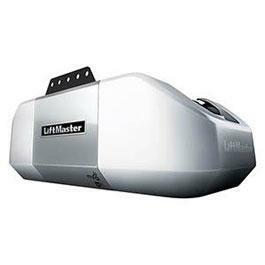 The Liftmaster 8165 is a great starting option for a very reliable garage door opener without all the bells and whistles you might not be interested in. 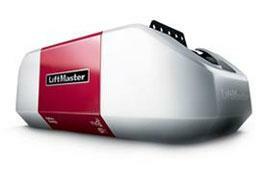 The Liftmaster 8365w is a great middle of the road opener. 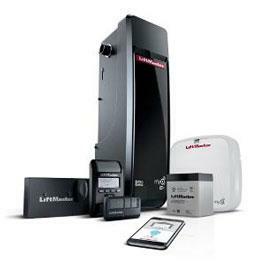 It has all the great features of the Liftmaster 8165 with a few added bonus`s like WIFI. This gives you the ability to open close and monitor your garage door from your smartphone. It also comes standard with a second light socket to keep your garage brighter. The Liftmaster 8355w has all the same features as the Liftmaster 8365w with the addition of a belt drive opener. Belt drive openers are impressively quiet compared to the chain drive options as well as more maintenance free. 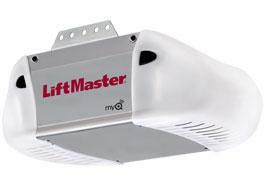 The Liftmaster 8550w is your top of the line garage door opener. It features a larger ¾ hp motor which can be beneficial with larger doors. It has an integrated battery backup so even if your power goes out your door will still open. As well as the WIFI feature to access your door from your smartphone. It also has a 5-year parts Warranty and a lifetime motor and belt warranty. 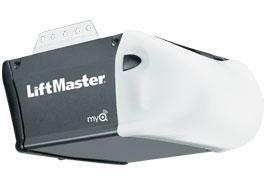 The Liftmaster 8500w is not your standard garage door opener. This type of opener is a jackshaft style and is side mounted directly onto the torsion spring shaft (not all doors are compatible). Some features include wifi, battery backup, automatic lock and remote LED light. Being a direct drive it is one of the quietest openers on the market. 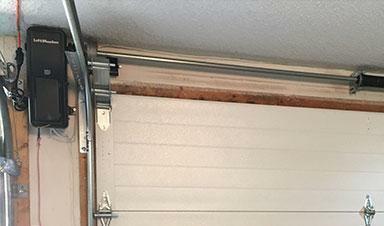 Royal Door can either repair or replace your garage door opener depending on the damage. We carry all the necessary equipment to fix or replace your opener. If you are looking to replace your opener instead of repair, we can help guide you in the decision making process to make sure you have an opener or remote that best suits your wants and needs. Whether you need a replacement garage door opener or a brand new one, let Royal Door be the one to install that opener for you. We can get the installation done quickly and affordably! Residential Jackshaft Openers: These specialty openers are designed to make life easy for you. They are mounted to a wall in your garage, directly next to your garage door so your ceiling space is completely open. These devices are extremely quiet and provide benefits such as a time-to-close system and security features. Belt Drive Openers: The mixture of extreme quietness and dependability makes these openers top-of-the-line. While they are more expensive, they are an excellent choice for residential areas. Chain Drive Openers: While not as quiet as a belt drive, chain drive openers are just as reliable and more affordable. Internet Gateway: The use of an Internet Gateway allows for you to connect your garage door opener with your smartphone. Allowing you to get notified if you leave your door open accidentally. If so, close your door remotely from your phone. While it’s not available for all openers, call us today to see if one will work for you (some new openers have this feature built in). 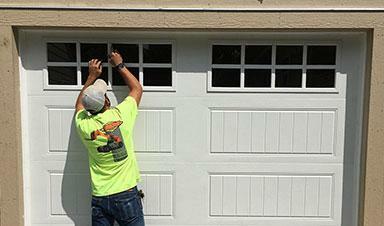 Keep your commercial or residential garage door in working order. Learn about our maintenance options!